Even children who are attentive to their dental hygiene can have a tough time keeping their teeth clean. For this reason, young dental patients are often at a much higher risk of cavities than their parents. At Children’s Dental of Waltham in Waltham, MA, our team of dentists and staff members often recommends dental sealants for their patients. This thin layer of restorative material creates a physical barrier between your child's enamel and bacteria. 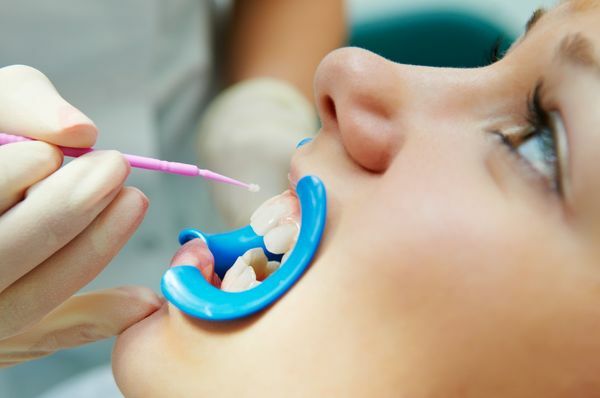 Consequently, dental sealants offer an affordable method for preventing future problems such as significant tooth decay, tooth loss, and tooth pain. Our welcoming practice is designed to meet the needs of younger patients and includes high-tech toys in the waiting area. Not only does our team speak many languages including English, Spanish, and Russian, but we focus on gentle techniques to put children at ease. Dental sealants act as a physical barrier to protect the tooth. Made from a thin layer of restorative (composite) material that is painted as a liquid onto the tooth, the sealant hardens with the help of UV light and bonds directly to the tooth. As a result, when your child eats or drinks, sugars and particles touch the sealant, not the enamel. This helps reduce the risk of tooth decay because bacteria does not directly remain on the tooth. However, the sealant is not permanent. In some cases, the plastic will wear off within three to five years and can be re-applied, if needed. Placing a dental sealant usually only takes a few minutes, even for multiple teeth. The tooth is cleaned and prepared before the sealant is carefully painted onto the enamel. A curing light hardens the sealant so it can form a strong bond to the tooth. Dental sealants are not a replacement for healthy oral hygiene habits. After receiving dental sealants, children should continue brushing and flossing regularly. Parents should buy their children toothpaste that contains fluoride to further prevent cavity development. Many dental insurance carriers will cover all or some of the cost to receive dental sealants. Our team at Children’s Dental of Waltham can help patients with insurance find out if their provider plan includes coverage for dental sealants. Dental sealants are not a replacement for healthy oral hygiene habits. Children’s Dental of Waltham encourages parents to consider dental sealants as a preventive dentistry option. Our team is available to answer any questions you may have about your child’s oral health. Call (781) 899-7070 to schedule an initial visit.